A beautiful dining option to relax and plan your day. 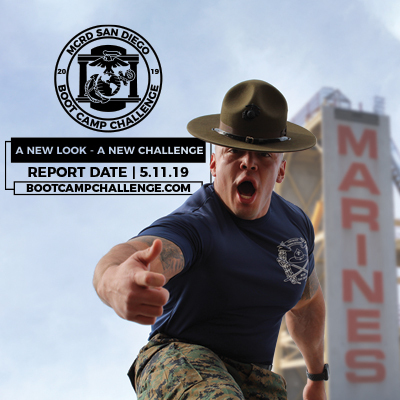 Your new Marine cannot join you for breakfast; he is still under the watchful eyes of the Drill Instructors. Witness the daily raising of the flags aboard the Depot. 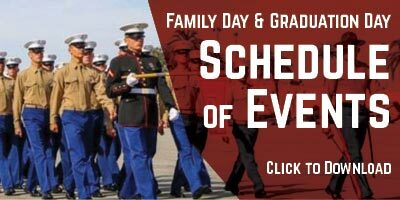 Enjoy performances by Marine Band San Diego and the Color Guard. The ceremony will take place at the Commanding General’s Headquarters, located at the West end of the Parade Deck. Look for the building’s distinctive white turret. Please be in your seats no later than 9:45 AM. Graduation marks the end of a Marine’s time in boot camp. It is his final dismissal and the culmination of his Recruit training. The graduation ceremony includes the graduating Marines, their Drill Instructors and other key training personnel. Marines line up by their platoon. If you know your Marine’s platoon number, look for signage near the Parade Deck with that number; your Marine will stand near there during the ceremony. An optional event for visitors. Lunch menu service available. The Bay View is known for impeccable service. 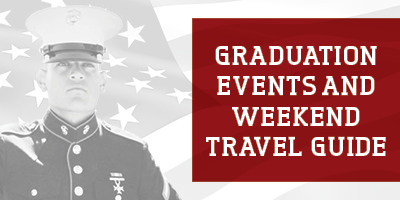 Graduating Marines will receive a free meal!